Google Maps Certified Marketing Photography Services. Pinpoint Imagery and Google Trusted Photographer Brent Bayless provide Street View Indoor Virtual Tours for any size business, anywhere, for placement on Google Search and Maps, as well as on websites, social media, emails, and more. Visit website for pricing and examples. Enhance your business' presence on Google Search and Maps with a premium quality 360º Virtual Tour powered by Google Street View technology. Proudly showcase your business to the world and lure in new customers. Pinpoint Imagery offers businesses anywhere the opportunity to have a Google Maps Indoor Street View Virtual Tour of their establishment inside and out, allowing potential customers to virtually walk through the front door and explore a business more thoroughly. It works perfectly on any computer or mobile device. You can even place the Virtual Tour directly on websites, facebook, sales presentations, and in emails, making it one of the most far-reaching, engaging and affordable marketing tools you could ever provide for your business. 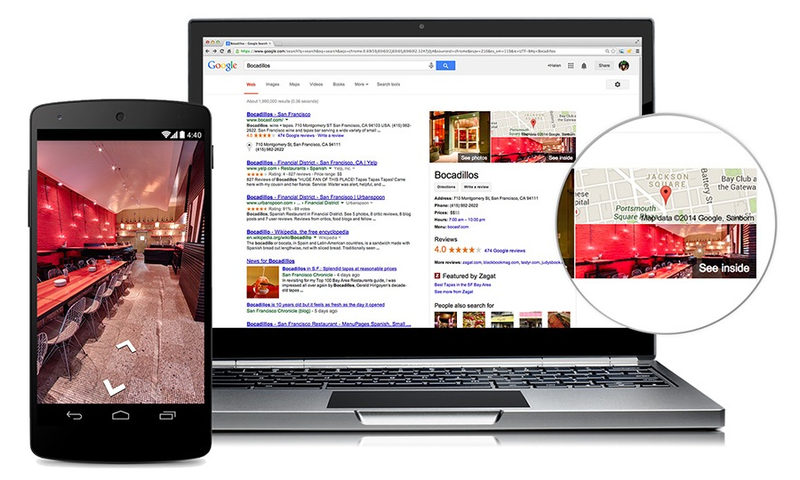 Invite customers inside with a Virtual Tour of your business on Google. Easily embed the Google Virtual Tour on your website. The statistics show that Google Virtual Tours increase business. Businesses everywhere are adopting it and having great success.